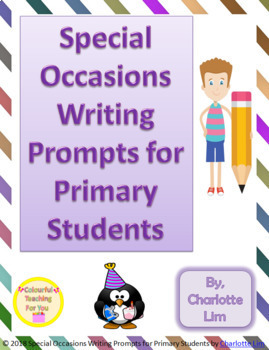 This package contains writing prompts that deal with reflective writing in regards to all of the different special occasions that occur throughout the school year. 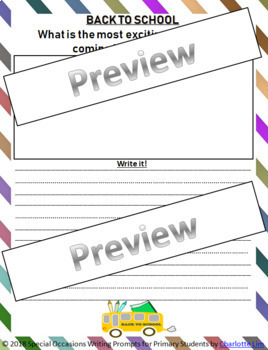 To add depth to their writing experience, I use these in conjunction with Writing Prompts for Primary Students and SEASONAL Writing Prompts for Primary Students that can be found in my store. It is great for differentiating the way you teach. All of the pages, except for the Popsicle stick sheets have carefully chosen pictures for students who are struggling with English or who are English Language Learners. 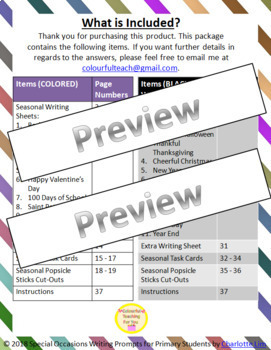 This resource includes a set of instructions that shows you how to use this product in a variety of ways. Note that this package also contains BLACK and WHITE sheets.